Whether your shoppers are looking for exotic goodies, home comforts, stocking-fillers, gifts for foodies, or just the festive family favourites, Empire Bespoke Foods can cater for all your Christmas needs. Passionate about importing and distributing specialist foods from around the world, the business is continually extending their portfolio with brands that have authenticity and provenance. And when it comes to Christmas, they really excel. Italian panetonnes and German gingerbread are firm Christmas favourites and independent retailers will have noticed them making steady progress into mainstream channels, however as a pioneer of this segment, Empire Bespoke Foods offers differentiation through the premium quality of Chiostro Di Saronno. 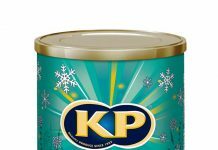 This year to add even more sparkle, the iconic brand has extended their flavoured panetonne range with a “sparkling wine” variant! So chic! With consumer trends for baking and scratch cooking increasingly popular, Empire Bespoke Foods have again included DIY gingerbread kits in their Christmas 2017 portfolio. Shoppers love Making Christmas Special, in its eyecatching packaging with adorable animal characters. 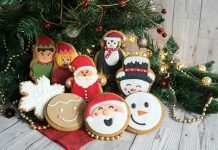 The range includes best-selling decorate-yourown mini gingerbread man and DIY kits, as well as bagged biscuits which make the perfect stocking filler. Their all-natural XL gingerbread house makes a fantastic shelf display. Christmas wouldn’t be Christmas without the authentic, full-ofspice, taste of gingerbread! Ideal as a gift, the brand new Pertzborn gingerbread unicorn will be a hit this Christmas. Unicorns are trending… didn’t you know? 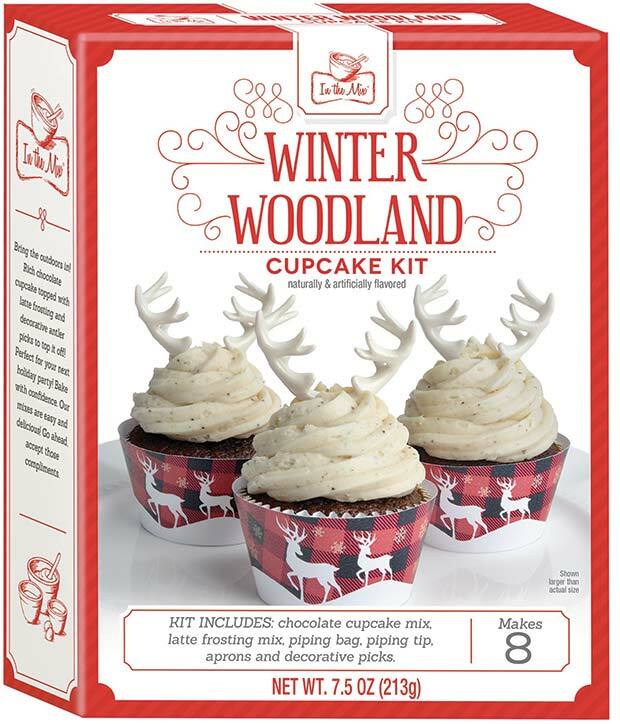 Or you may want to see how your customers respond to their DIY train kits, or the exciting cupcakes kit or sandwich cookie kit from Winter Woodland. Great entertainment for the children. 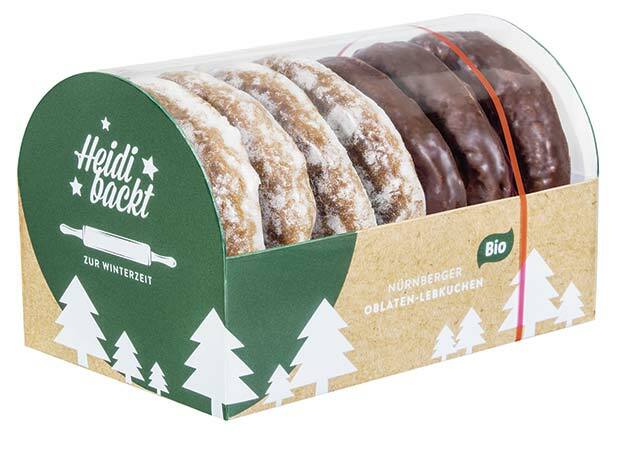 For shoppers looking to treat themselves or gift family and friends with premium, indulgent treats, retailers should offer some of the brand new lines being offered; Chiostro Di Saronno “Brutti E Buoni,” hand wrapped Italian hazelnut cookies, Wicklein’s organic range of Lebkuchen cookies, or Vergani Nougat, which is available in both a crunchy format with roasted almonds and a soft format with a) almonds, b) candied citrus fruits, pistachios or c) roasted almonds and hazelnuts. For retro, iconic flavours, look no further than a Christmas tree decorated with candy canes from Artesans Del Sucre, who also offer festive frosted lollipops with a sugar reindeer on the front. 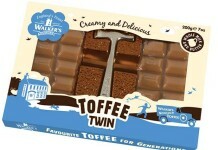 And for the chocolate lovers? Don’t miss the range of board games from Games for Motion, which includes Monopoly, Guess Who? and Connect 4. With a ‘birds eye view’ of new trends emerging, Empire Bespoke Foods tip for Christmas is that German Stollen (a doughy fruit loaf) might be the one to watch this year. Try their Butter, Marzipan or Gingerbread variants from Kronen. The extensive range of festive treats from Empire Bespoke Foods can be tailored to suit whatever retail space is available, whether you like to ‘pile-them-high’ or offer maximum variety in a small window display. Our Christmas 2017 range is full of European delicacies for hampers, shop floor and till-points; everything you need for a differentiated offering and a successful festive season!